An action which is intended to be perceived as a bluff, but which is not; subsequently followed by an action which is intended to be perceived as a double bluff, but which is in fact merely a bluff. When a story is told from person to person, especially if it is gossip or scandal, it inevitably gets distorted and exaggerated. This process is called Chinese whispers. Chinese Whispers is also a name for a game played around the world, in which one person whispers a message to another, which is passed through a line of people until the last player announces the message to the entire group. Errors typically accumulate when the story is repeated, so the statement announced by the last player differs significantly, and often amusingly, from the one uttered by the first. In law, a signed document where a sworn statement is made by a deponent or affiant (from the Medieval Latin affidavit meaning ‘he has sworn’) under an oath or affirmation administered by a person authorized to do so by law. Meaning: People who are the same do not hurt each other. English equivalent: Hawks will not pick out Hawk’s eyes. Venizelos (1867). Paroimiai dēmōdeis. Ek tou typographeiou tēs “Patridos”. p. 95. Implying that most likely, you will leave little in your will by living a good life. Meaning: A person in a desperate situation will try the most desperate measures. Sexual scripting suggests the importance of meanings and symbols in human sexuality. The idea of sexual script brings a new metaphor and imagery for understanding human sexual encounters as social and learned interactions. Sexual feeling does not simply happen from within the body but needs meanings and symbols which provide cues and clues to enable sexualities to develop. Sexual scripts can be seen as providing guideline for appropriate sexual behaviour and sexual encounters as sexual behaviour and encounters are learned through culture and others in interactions. It can be linked to theories of sexual desire but is critical of their tendency to stress the purely biological aspects of desire. The late journalist Bill Deedes’ father, Herbert, inherited Saltwood Castle and thousands of acres of Kent but, unable to cope with life after the Boer War, lost the lot. As his father had no money to educate him, Bill joined the Morning Post in 1931. He thus became the first member of his family for 500 years to do an actual job. 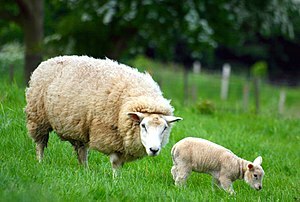 25% of the world’s sheep are fat-tailed. Lard is pig fat. A larder was originally the place where the lard was kept. The word lard comes from the ancient Greek for ‘dainty’. The German for fat is Schmalz. 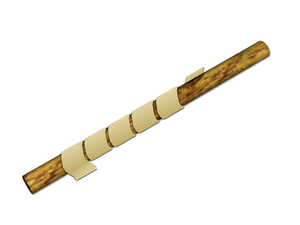 In cryptography, a scytale (Greek for ‘baton’) is a tool used to perform a transposition cipher, consisting of a cylinder with a strip of parchment wound around it on which is written a message. The recipient uses a rod of the same diameter on which he wraps the parchment to read the message. It has the advantage of being fast and not prone to mistakes—a necessary property when on the battlefield. It can, however, easily be broken. Since the strip of parchment hints strongly at the method, the ciphertext would have to be transferred to something less suggestive, somewhat reducing the advantage noted.